The American Athletic Conference Championship does not have as much on the line as the SEC, ACC, Big 12, or Big Ten games Saturday. 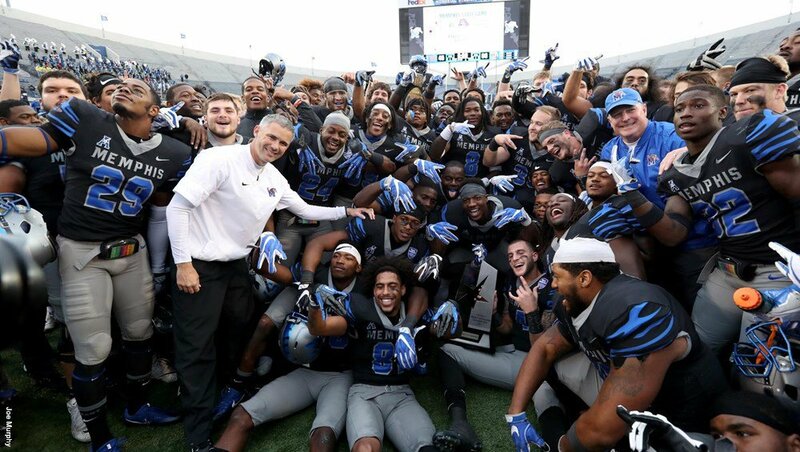 But that does not mean the Memphis Tigers and UCF Knights do not have anything to play for. Every player and coach want to win to do a few things. They all want to win the national title, but since most know they don’t have a chance, they are satisfied with winning their conference. 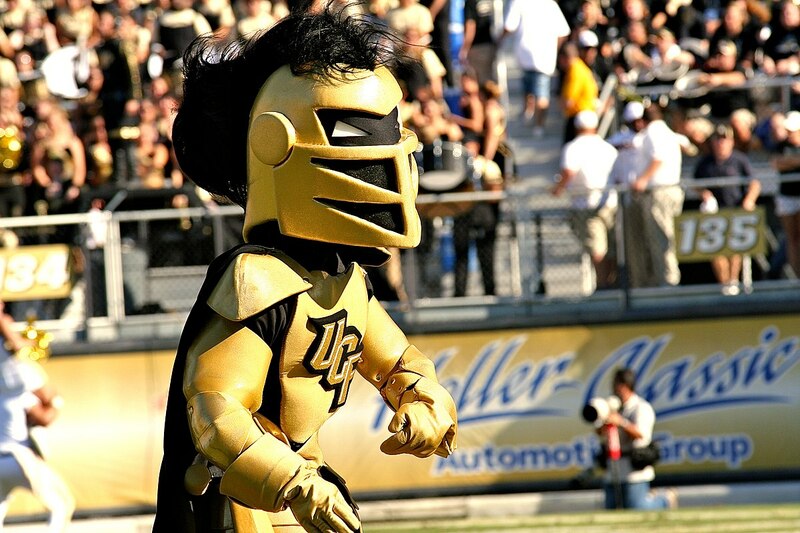 If they can do it with an undefeated record- like UCF – even better. But if they can do it while handing an undefeated team its first loss— also awesome. If that undefeated team happens to be the only one they lost to during the regular season…. well, that’s just icing on the cake. Of course, the odds of beating a team you already lost to are not great. That is especially true for the Memphis Tigers in this case. The Tigers kept it interesting for about a quarter and even led 7-6. But when UCF took the lead in the second quarter, they didn’t let up. They led 23-7 at the half and were up 30-7 heading into the fourth quarter. Memphis wouldn’t get on the board again until the final drive of the game. The Tigers had their tales handed to them in that game. Is there a chance it will not be that way the second time around? If you are looking for offensive fireworks, the potential will certainly be there for this game. UCF has the No. 1 scoring offense in the nation; Memphis No. 2. Both teams are quite capable of throwing the ball; UCF has the No. 11 passing offense and Memphis No. 9. If you like to see a good run game as well, don’t worry. Both teams average around 200 yards/game on the ground. But it isn’t offense that wins games. It’s defense, and UCF has the better one between the two. Memphis ranks 111th in total defense and it showed when these two met earlier this season. UCF was able to run for 350 yards (two touchdowns) and pass for another 253 (three touchdowns). Whenever a team can generate that much offense, it is going to be nearly impossible to beat them. That is unless you do the same. While the Memphis offense is capable of doing the same, they ran for only 75 yards last time. Riley Ferguson had to pass 49 times because the run game wasn’t working. He completed 27 for 321 yards and a touchdown. But he also threw three interceptions. Could the game have been different if he hadn’t turned the ball over so much? Two of Ferguson’s turnovers led to touchdowns for UCF. His fumble occurred in the red zone and two of the interceptions killed promising drives. UCF is favored by seven for this one. With how the first game went it is not hard to understand why. Normally, Memphis does much better in the turnover battle (No. 6 in the nation) than it did the first time these two met. But UCF is no slouch in that area either (No. 1). Whoever wins the turnover battle this time around will likely win the game. If Ferguson can keep from throwing any picks, the Tigers will at least cover the spread. If you have to bet something on this one, take the over (83 points). But if you want to pick a winner—go with UCF straight up, but Memphis with the points.